Successful long range transportation plans from Raleigh and Denver were studied. These two plans share many of the same components which work toward a comprehensive and inclusive approach. 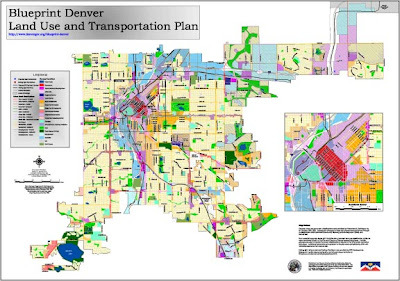 Denver’s transportation plan recognizes the importance of a multi-modal transportation network. The success of a multi-modal system hinges on the strength of the system’s connections and the opportunity for diverse mobility options within the system. The street system, public transit system, bicycle system and pedestrian system all must work together to provide a complete transportation network. The plan also recognizes the link between transportation, land use and transit-oriented development. By implementing the plan, Denver will develop a transportation system that balances the needs of all modes of travel, providing the public with multiple transportation options. The City of Raleigh’s transportation plan recognizes the importance of developing a balanced, efficient, multi-modal transportation network that minimizes impacts to the environment and reinforces the livability of neighborhoods. The plan recognizes that in the future not only will existing facilities and services need to be improved, but new mobility options, including increased and higher-capacity transit service, will need to be created. The plan contains policies that will create a well-connected, multi-modal transportation network, support increased densities, help walking become more practical for short trips, support bicycling for short- and long-distance trips, improve transit, conserve energy resources and reduce greenhouse gas emissions and air pollution.